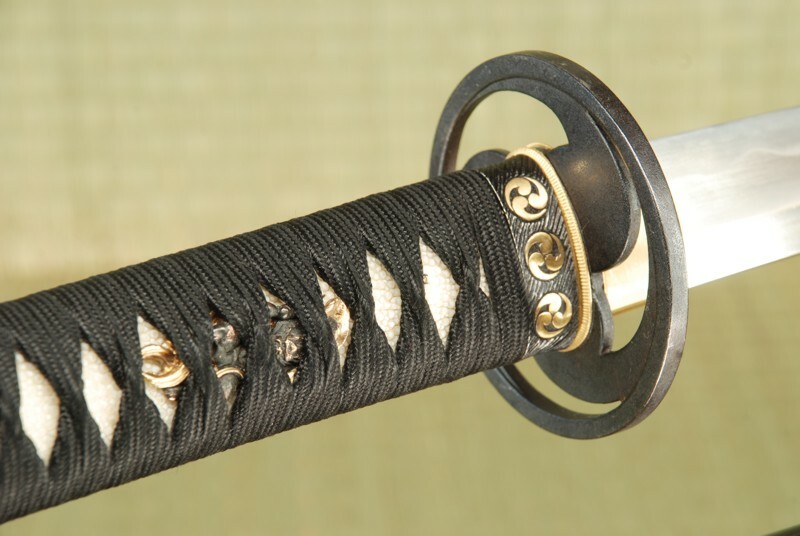 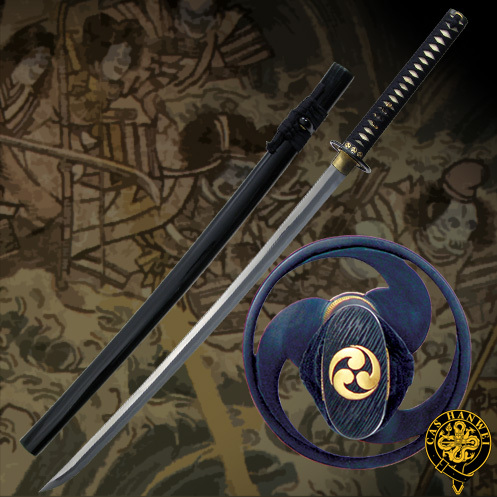 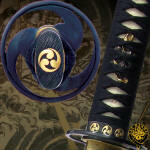 The Great wave katana is stylized with the renowned Tomoe motif. 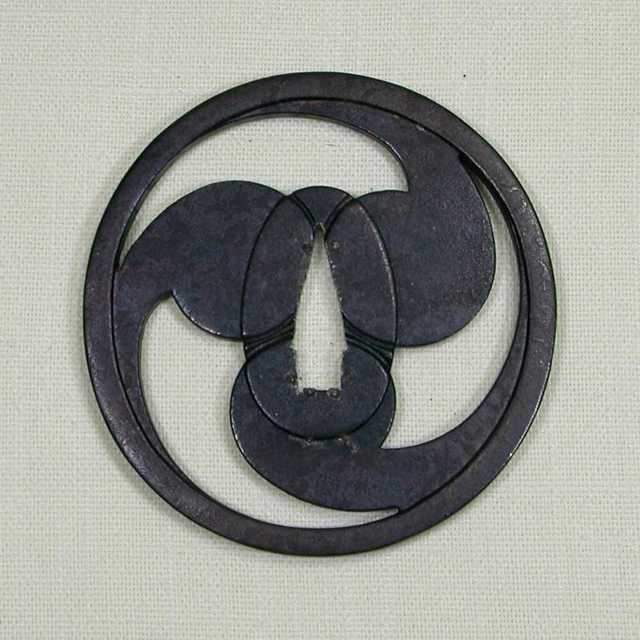 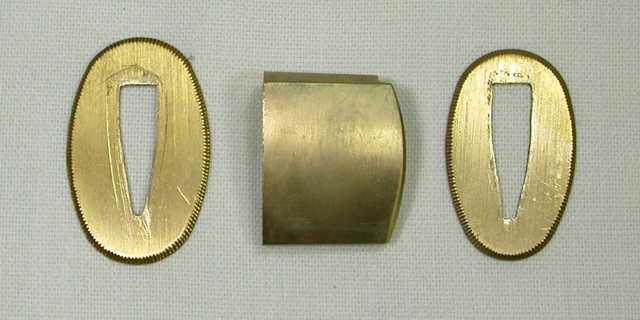 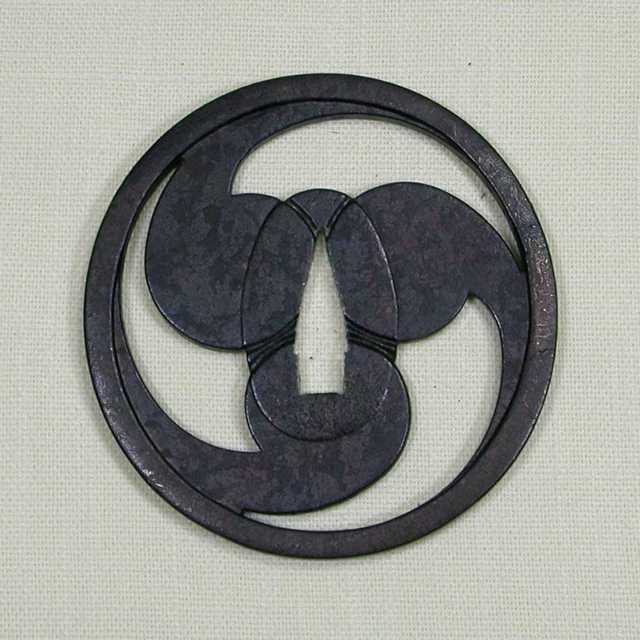 The tsuba, fuchi, & kashira are made of black iron and marked with the Tomoe crest (mon). 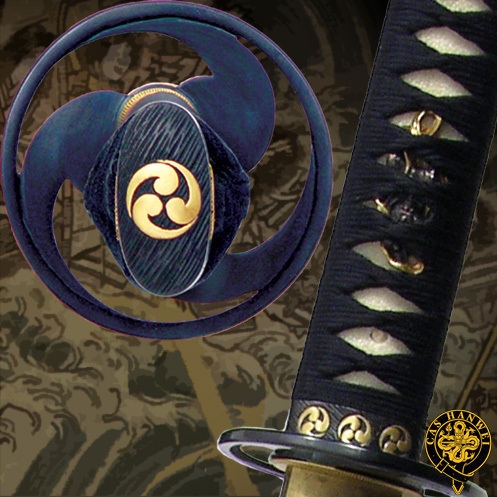 The blades are hand-forged from T10 high-carbon steel and are differentially tempered using traditional claying methods. 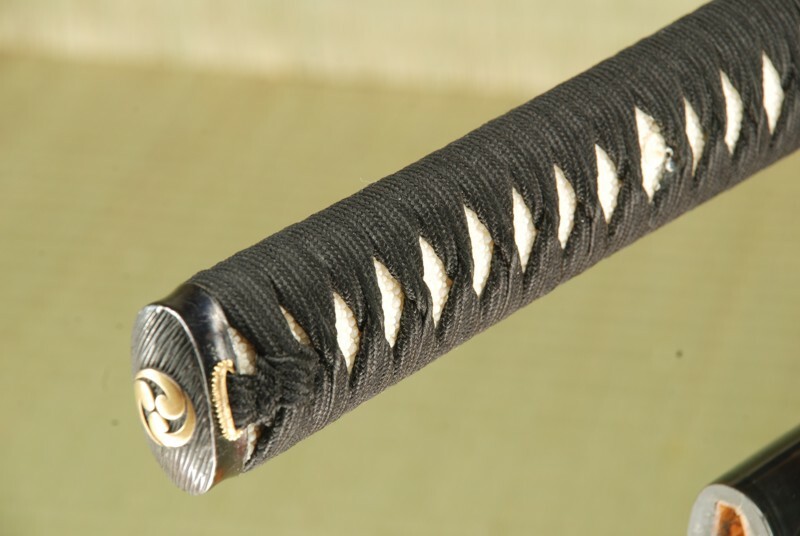 The temper line (hamon) is evident and prominent. 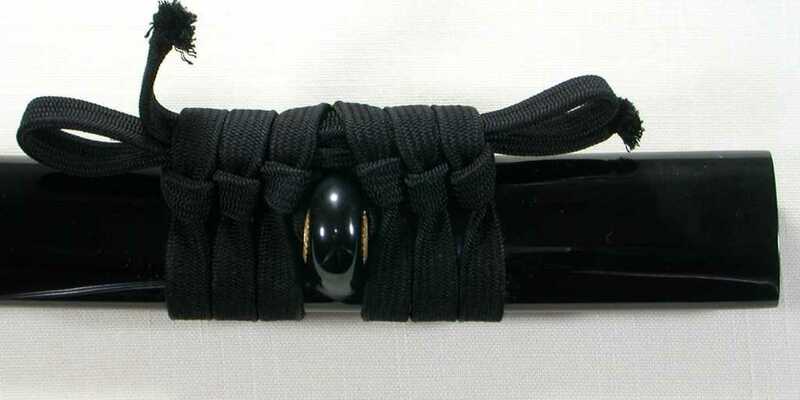 Each piece has a deeply lacquered black saya with a one-piece brass habaki construction. 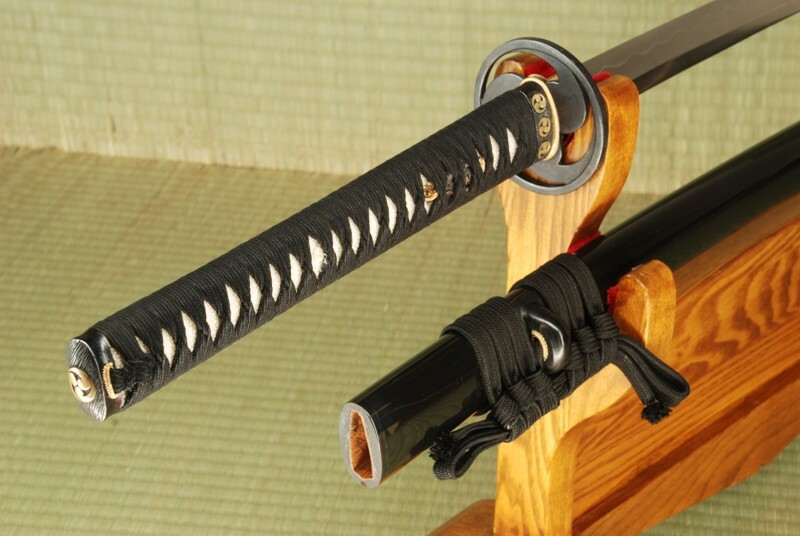 Real ray skin (same) is used on the tsuka, and the tsuka-ito and sageo are made of premium woven Japanese black cotton. 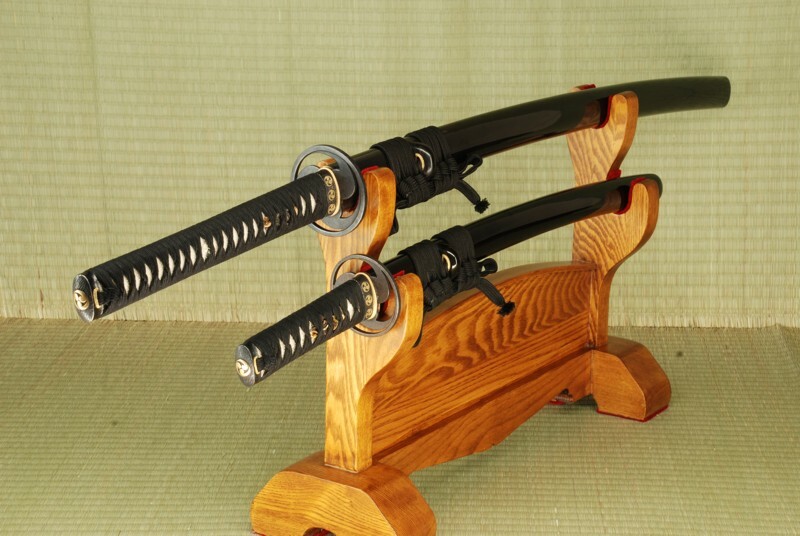 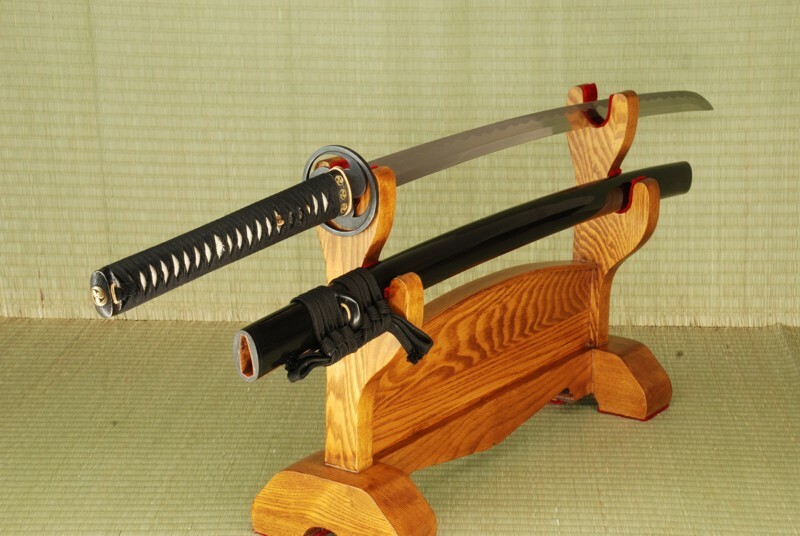 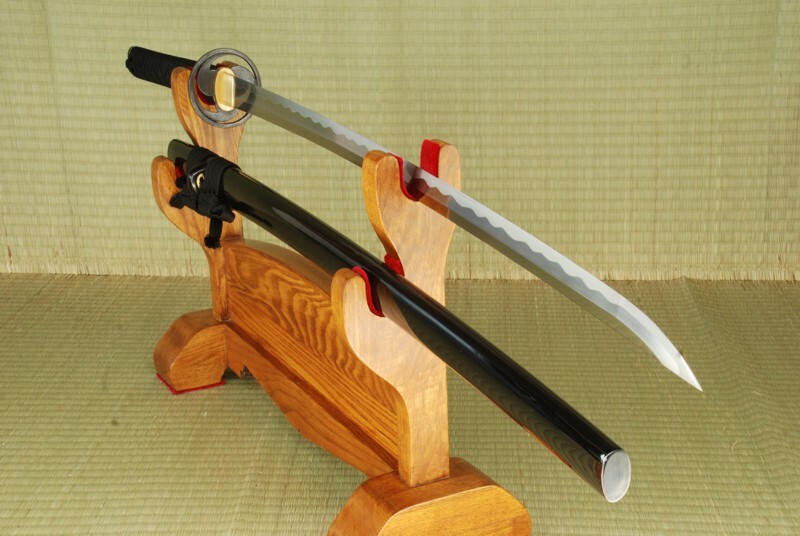 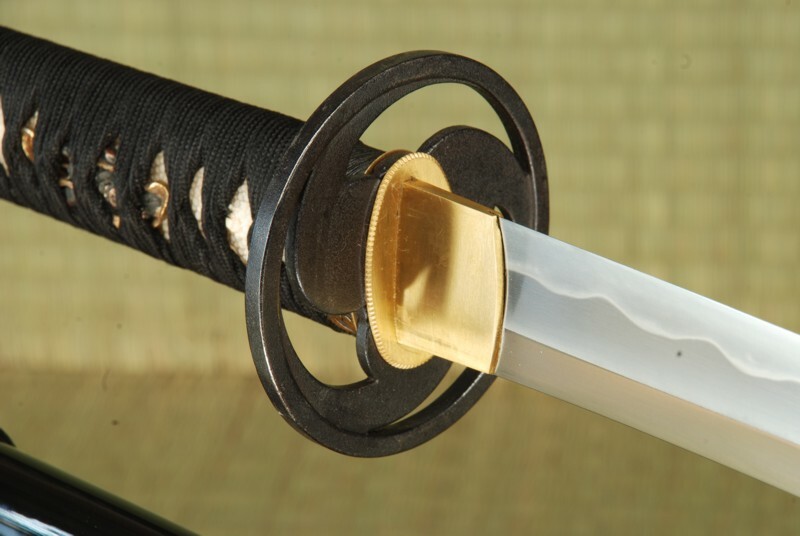 The katana is constructed with a large o-kissaki and are ideal for cutting exercises (tameshigiri).